1965 was a great year. It produced two people who were destined to meet and share life’s adventures. 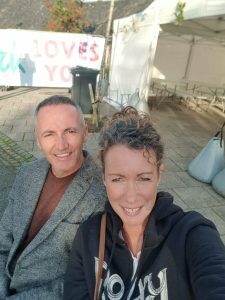 50 something married couple brimming with ideas, bucket lists, travel stories, interested in keeping healthy and living life. Trying to hold on to our memories. Sometimes it’s the little things that get forgotten and they can be the most important. Please feel free to read our blogs. Written with a blend of observational humour and self awareness as we travel through our life and try to make the most of this amazing world. We love meeting people from around the world and our Airbnb is a perfect opportunity for us to meet intrepid travellers. Most of whom will stay the night before they start walking the West Highland Way.